BIRTH was an international theatre festival developed by the Royal Exchange Theatre and The Oglesby Charitable Trust to provoke debate on a global scale and question one of the key issues of our time: the vast inequality in healthcare across the world.  There was an excitingly varied programme at the Royal Exchange over the four days of B!RTH - 19 October - 22 October 2016. Headlined by 7 commissioned plays from 7 leading female playwrights from across the globe (Kenya, India, China, Syria, UK, USA and Brazil) the festival hosted a series of debates with experts from the world of science, art, academia, politics and charities, as well as an incredible programme of supporting events. AN INSTALLATION CREATED BY THE ROYAL EXCHANGE YOUNG COMPANY IN COLLABORATION WITH 7 MOTHERS FROM GREATER MANCHESTER, IN RESPONSE TO THEIR STORIES.